Introducing The Treasured Memories® Gift Certificate or as we like to call it: The Best Holiday Gifting Idea... EVER. Choose from Gift Certificate amounts anywhere from $50 - $500 dollars so you can gift the best quality at the perfect price -and FREE SHIPPING on all orders! More meaning, more healing, and more value in the perfect personalized gift for your loved one. Our elegant .925 Sterling Silver cremation jewelry designs let you capture all of his or her loving details in each exquisite on-of-a-kind piece. Gift Card amounts anywhere from $50 - $450 dollars so you can gift the best quality at the perfect price -and FREE SHIPPING on all orders! Gift Card from $50 to $500 plus FREE SHIPPING on all orders! Please provide the First and Last Name of the recipient. The Treasured Memories Gift Certificate is redeemable for Treasured Memories, Inc. merchandise up to the prepaid value of the certificate. Available in denominations from $50 to $500. The Treasured Memories, Inc. Gift Certificate allows the purchaser to share with their gift recipient the experience of shopping at Treasured Memories. To purchase a Gift Certificate, choose a value from the drop-down menu, enter a quantity and click on the purchase button. 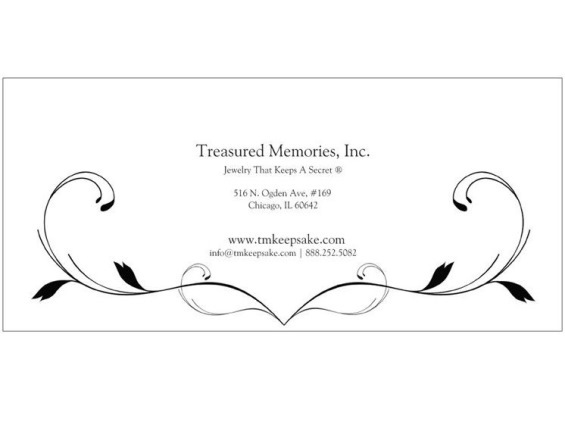 Where can a Treasured Memories Gift Certificate be used? 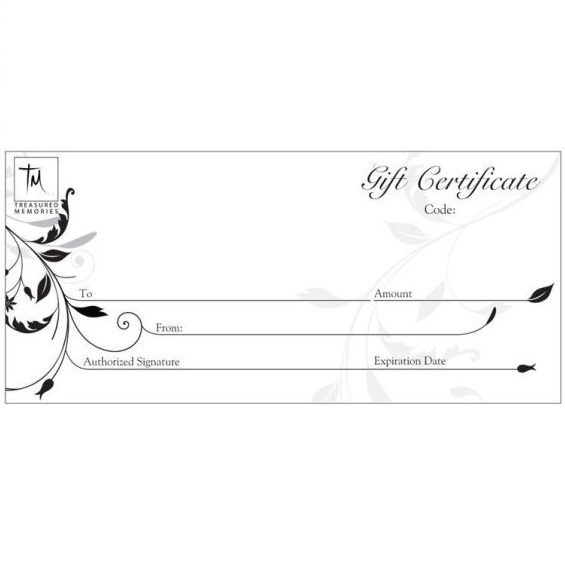 The Gift Certificate is recognized online at TMKeepsake.com and on orders placed by telephone, 888-252-5082. Taxes are included in all purchases made with the card, as with regular purchases. Treasured Memories Gift Certificates are packaged in a standard envelope and sent by standard shipping unless you opt for express shipping. Lost or stolen Treasured Memories Gift Certificates can be replaced to the purchaser, with proof of purchase and without use by telephone, 312-238-9570.